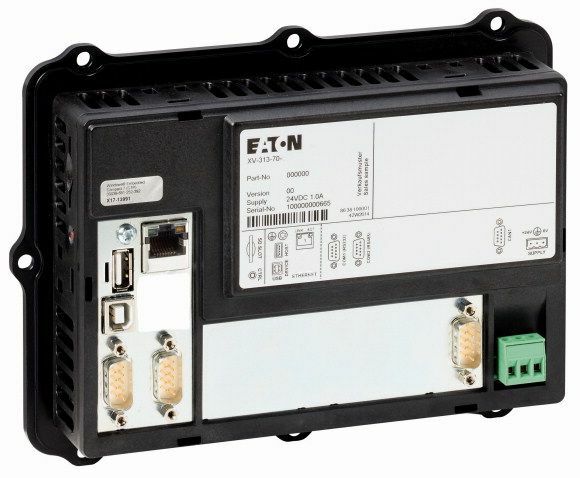 The XV300 series from Eaton, developed especially for the requirements of mechanical and plant engineering, enhances the field of automation with contemporary control interfaces and command methods familiar from consumer electronics. High system performance and a powerful graphic processor allow user interfaces to be implemented that meet and exceed the expectations of today’s end users, with features like fast screen changes and integrated multimedia elements. 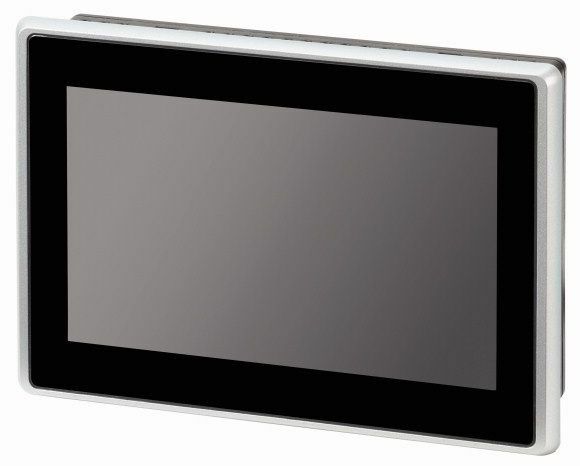 XV300 devices are equally suitable for use as HMI operator panels and as HMI-PLC units with integrated PLC functionality. To complement the devices, Eaton is offering its new Galileo 10 project design and visualization software that supports all features of products in the XV300 range. Eaton can provide Version 2 or Version 3 of the XSOFT-CODESYS software for PLC programming, so that users can protect their existing investment in software as well as developing new projects based on the latest standards. 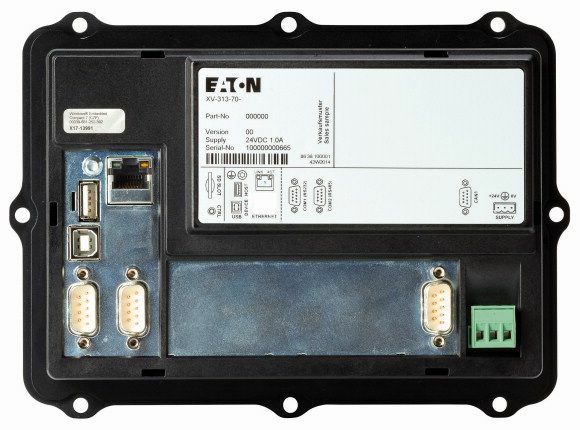 SmartWire-DT can prove to be invaluable when implementing Eaton's Lean Automation concept, which, as part of the company's Lean Solutions approach, offers several significant advantages. More specifically, SmartWire-DT integrates the I/O level directly into the switchgear being used, enabling a PLC to use SmartWire-DT to directly access digital and analog data from control circuit devices all the way to circuit-breakers. This eliminates the need for a separate gateway and I/O layer. reducing the number of components and engineering effort and enabling users to create flexible automation solutions. Eaton calls this concept Lean Automation It provides users in the machine building and plant engineering industries with unparalleled freedom so that they can design creative and profitable solutions. 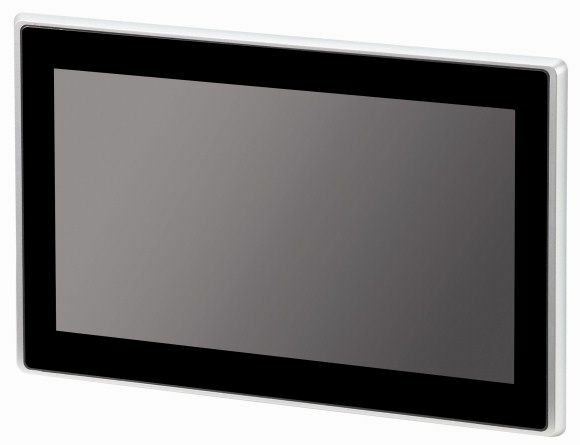 Featuring design styles, animated transitions, and gestures such as swiping, scrolling, and pinch-to-zoom, GALILEO 10 is the ideal companion to the advantages provided by the new XV300 series of devices. It also comes with comprehensive integrated communications protocols, making it possible to provide visualization for all common PLCs and controllers. When used to implement an efficient HMI PLC combination, the optional CODESYS-based PLC-function enables users to develop powerful and comprehensive programming functions in line with the IEC 61131 international standard. XV300 panels can be configured with either XSOFT- CODESYS Version 2 or 3. 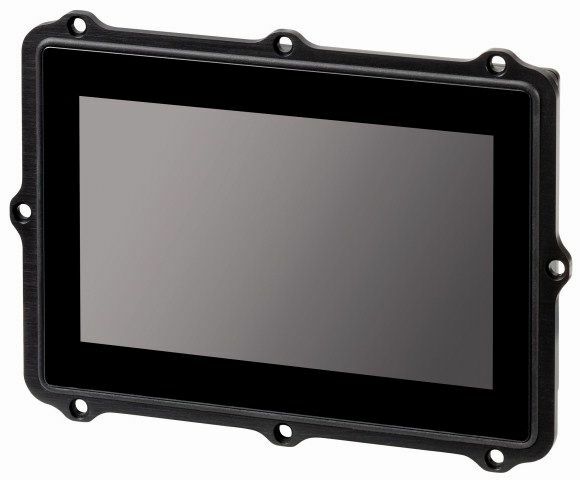 If you want to add the PLC function to the XV-3.3-..-...-...-1B panel, you will need to purchase an additional license. To do this, you will need license product certificate LIC-PLC-A. Due to licensing reasons, the license sticker must be affixed to the device.